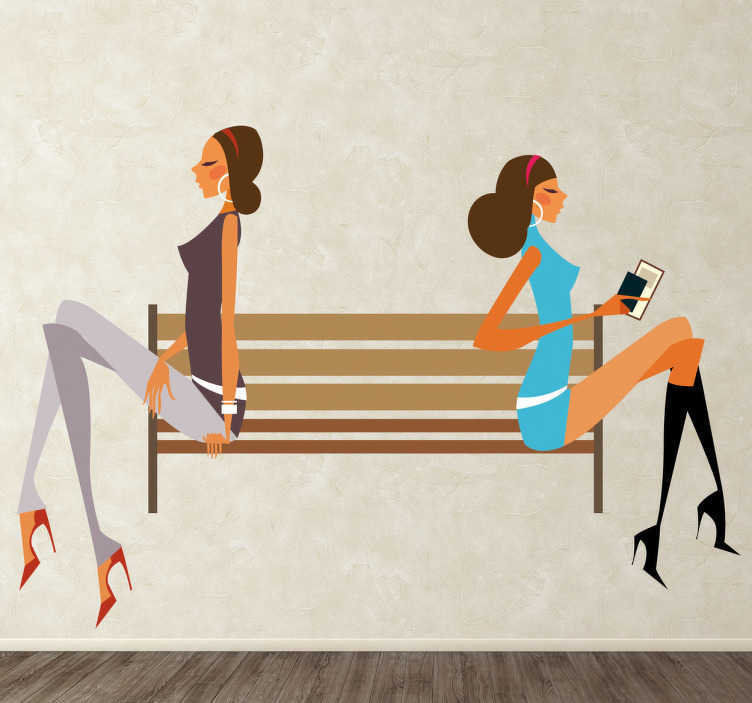 A brilliant fashion wall sticker illustrating two stylish woman wearing fashionable clothes and waiting in the park. Great shopping decal to decorate the waiting area of your store or the women's section! Super easy to apply and leaves no residue upon removal.